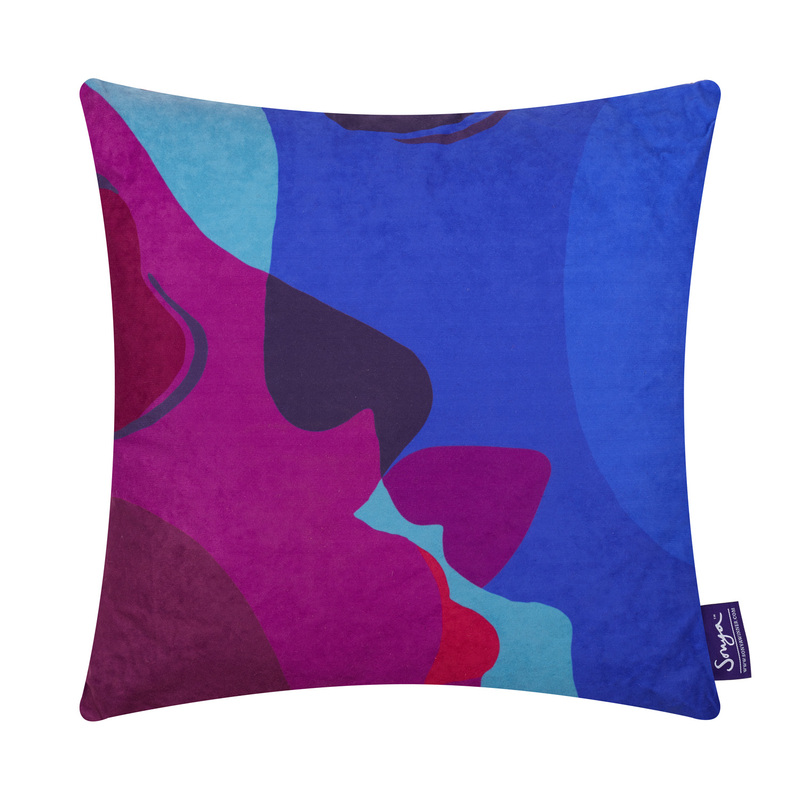 The Kiss Tender is a set of bright, modern designer cushions, which take their inspiration from the Kiss Tender rug, featuring a close up crop of the lovers’ lips, each focusing more closely than the last. 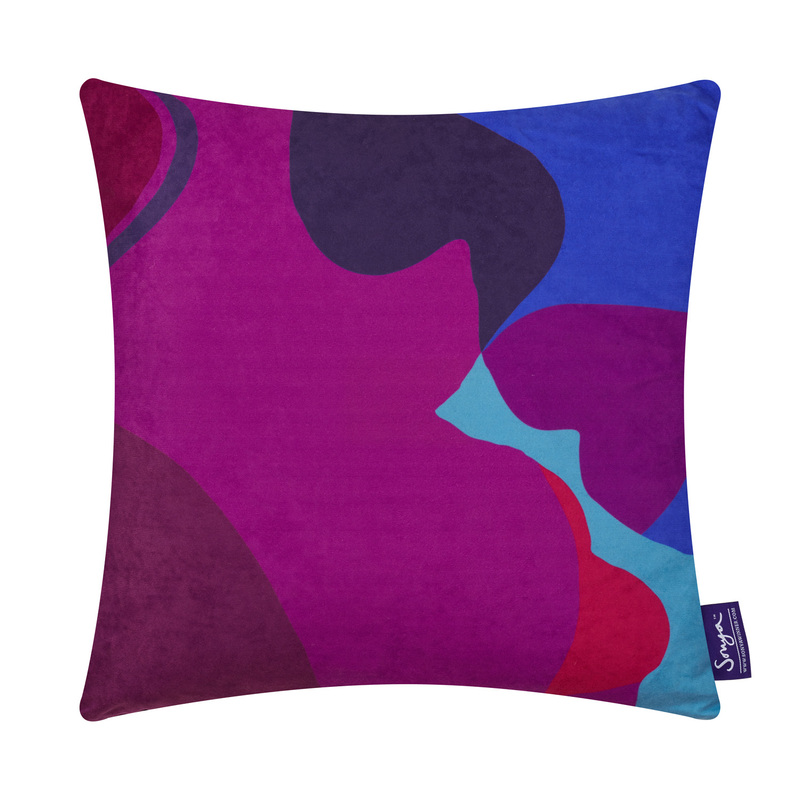 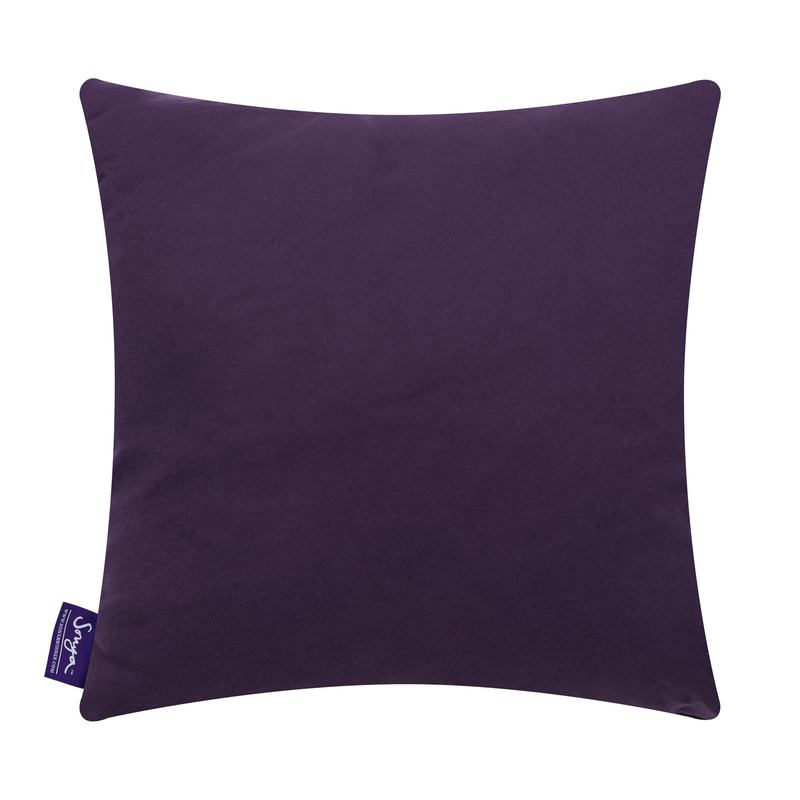 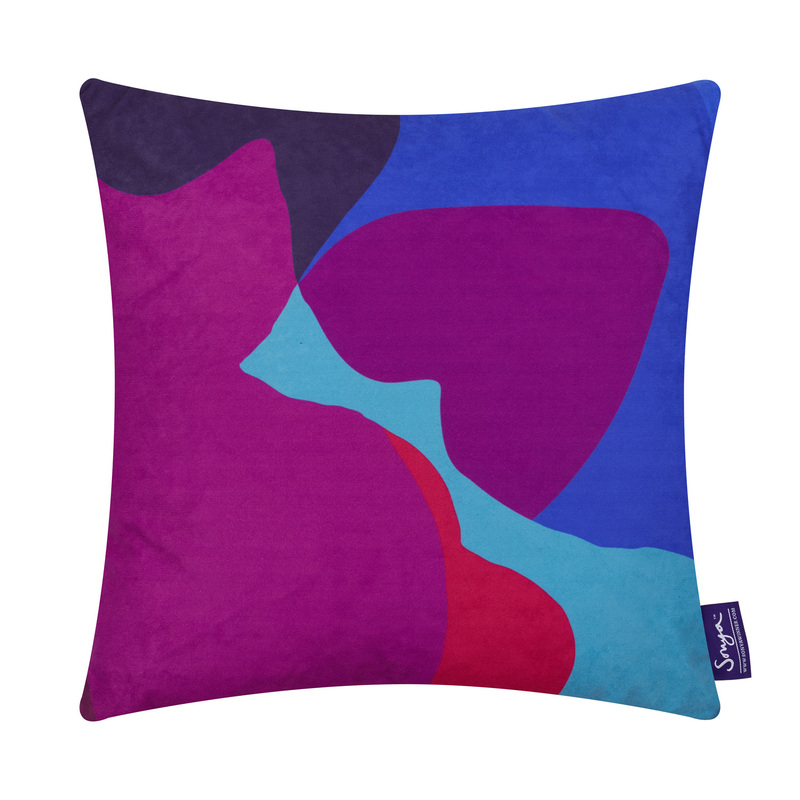 All The Kiss Tender cushions have our signature dark purple back. 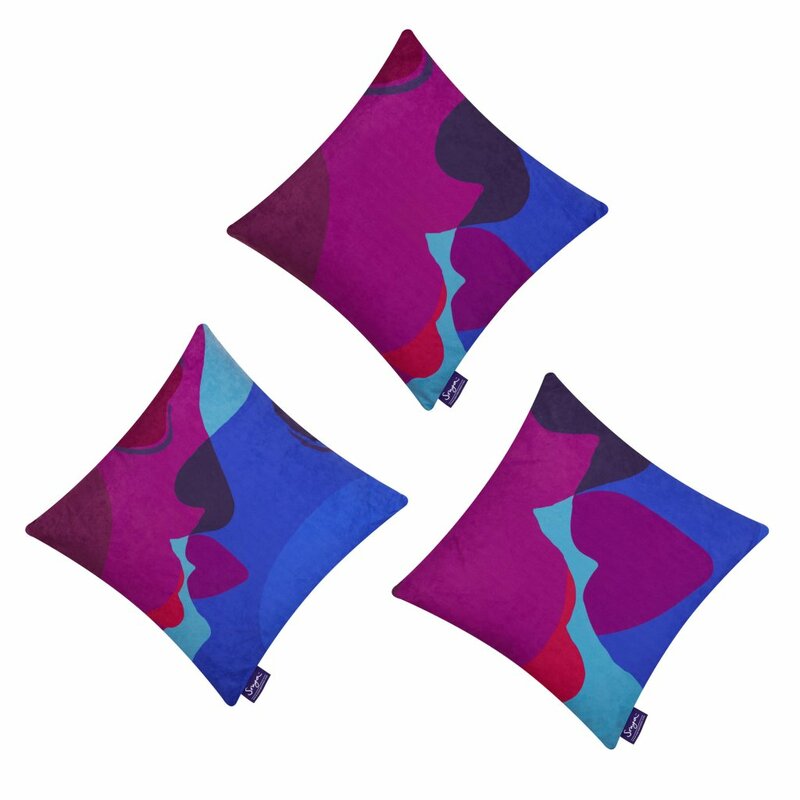 The Kiss Tender collection incorporates a colour mix of navy blues, grape purple, fire red, teal and hot pink on our smart signature purple back.The colours in this design have been carefully selected to look good either with The Kiss Tender rug, or to complement any of the cooler vibrant rugs in the collection.